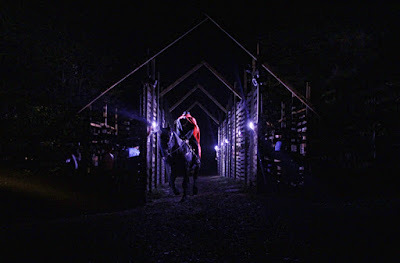 When I was telling a friend about The Sleepy Hollow Experience at Serenbe Playhouse and I said that they have a real "headless horseman" in the show, she stopped me and with a quizzical expression asked, "Wait...What?!" It's true...they do in fact have a headless horseman on a GIANT horse in the play, but more on that in just a moment. I've never experienced outdoor theatre like this. Well, I have at other Serenbe Playhouse shows, but this one moves around...rather, the audience moves around. After the short 40-minute drive from downtown Atlanta, you drive down a dirt road, purportedly to a small town having trouble with people losing their heads. Believe me, it's not as bad as people in traffic losing their minds! You're promptly greeted and directed to the "gathering area"—and you can grab a cocktail on your way, being tended by characters in the play. You get to return here during intermission, a great time for another cocktail, to meet fellow theatre-goers and there are a number of games to play! 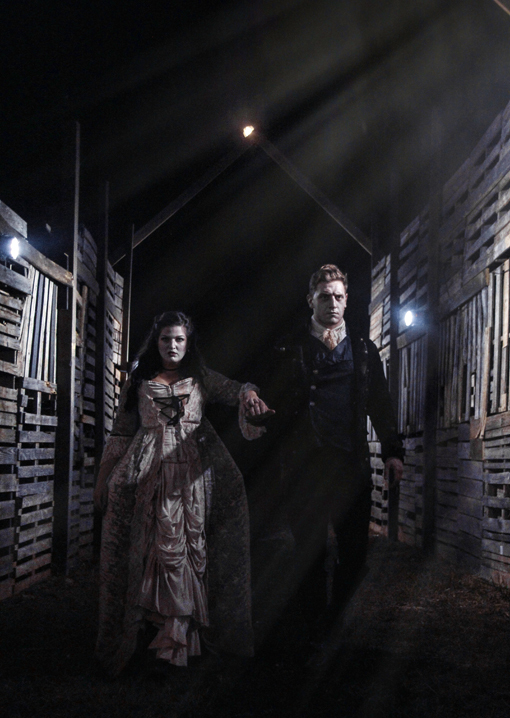 This is the fourth year that Serenbe Playhouse has presented The Sleepy Hollow Experience, but this year's The Sleep Hollow Experience has been re-imaged by Brian Clowdus, Founder & Executive Artistic Director of Serenbe Playhouse. Returning as Ichabod Crane, for the fourth consecutive year, is Chris Mayers. Also returning is Blake Burgess (who I saw in Of Mice and Men) as Brom Bones, and Brandon Patrick as Male Storyteller. New to the show this year are Jennifer Alice Acker (Director of Education at Serenbe Playhouse and recently seen in 'Da Kink in My Hair) as Female Storyteller, and Erin Burnett as Katrina. The entire cast is phenomenal! If you've not read Washington Irving's The Legend of Sleepy Hollow, don't worry. I'd not read it (we moved around a lot, so I missed a few of the classics) and thoroughly enjoyed the performance! I was quite surprised to learn that the story was first published in 1820, yet many elements within the story continue to be relevant to the "human condition" today. There's new dialogue and new songs! 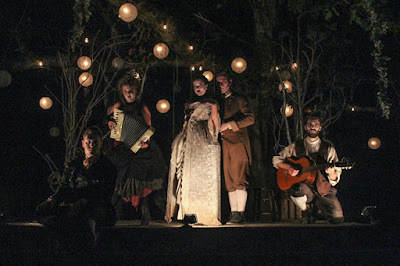 While Brian was in New England launching yet another unique version of The Sleepy Hollow Experience, Ryan Olivetti, also of Serenbe Playhouse, served as Director of this year's local show. Everyone I've encountered at Serenbe Playhouse has been remarkable. I'm grateful for how kind they've treated me, and how kindly I see them treat others. This is a truly remarkable experience. One that's not to be missed! 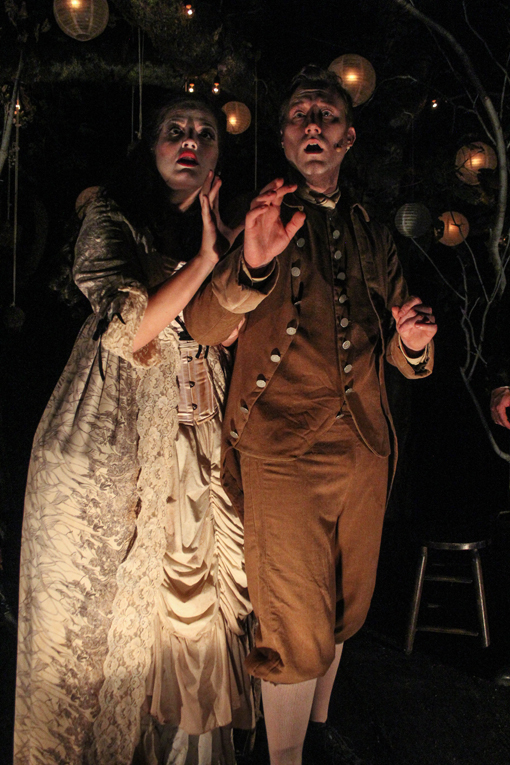 If you did miss this year's The Sleep Hollow Experience, don't loose your head over it, just be sure to get your tickets now to the season finale, "The Snow Queen", which opens December 1 (tickets). 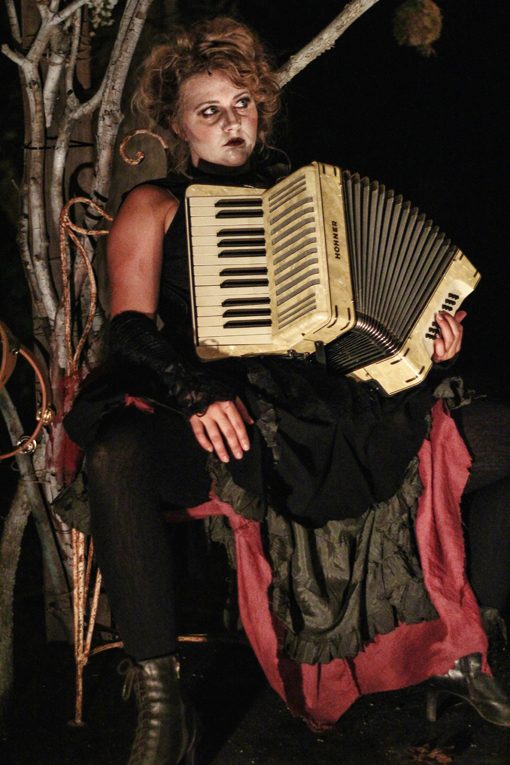 Serenbe Playhouse will soon be hosting their second annual "Friendraiser", which is part silent auction, part performance, part indulgence (food and drink) and it's when they'll announce the lineup of the next season, "Season 8: Rebellion"! I can hardly wait! The Friendraiser event will be on Thursday, November 17 at 7:00pm at 2300 Defoor Hills, across the street from Red Brick Brewing! Get you tickets and join me for the fun!